In a bit of April Fool’s Day pleasantry, CBS All Access and Geico have teamed up to make the premiere episode of Jordan Peele’s new reboot of The Twilight Zone free to watch online–as in, no pesky subscription necessary. The first two episodes debuted on CBS All Access today, but the premiere is available to watch right now on YouTube, no strings attached. 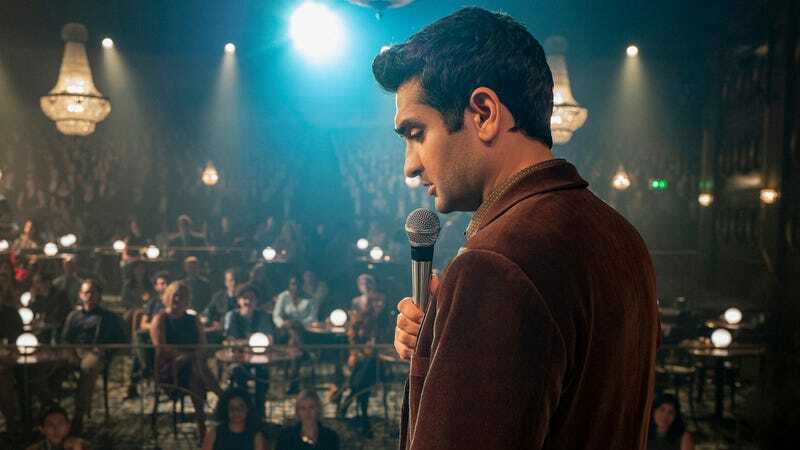 “The Comedian” stars Kumail Nanjiani as Samir Wassan, a comedian (obviously) who discovers that his dreams of fame come at an unfortunate cost–an experience those of us without CBS All Access subscriptions can certainly empathize with. The second Twilight Zone episode, the Adam Scott-starring “Nightmare At 30,000 Feet,” is available exclusively on the streaming platform. But if you’re still waiting for your mom to remember her CBS All Access password, there’s another bit of good news: CBS is offering a one-week free trial for new subscribers, giving you (and your mom) plenty of time to get things sorted out before the third episode is released. Subsequent episodes of The Twilight Zone will be made available to stream every Thursday, starting on April 11. Hosted and executive produced by Jordan Peele, the reboot of Rod Serling’s iconic sci-fi series features episodes starring Steven Yeun, Tracy Morgan, John Cho, Jacob Tremblay, Ike Barinholtz, Taissa Farmiga, Jessica Williams, and more.